Moving locally within the Lymington area? Moving to Lymington? We can help! We are a local removal company, and have helped people to move to all areas around Lymington including New Milton, Sway, Brockenhurst, Beaulieu, Lyndhurst, Marchwood and many more. Why use Schepens for Lymington removals? We are also able to provide safe, self storage within easy reach of Lymington on a short or long term basis. If you need a removals company in Lymington, then Schepens has the experience, expertise and local knowledge to offer you a smooth, trouble-free move. New Milton, Sway, Brockenhurst, Beaulieu, Lyndhurst, Marchwood and many more. If you are looking for a professional and high quality Lymington removals company, our team at Schepens has all the expertise you need. With over 100 years experience, our family run removals business can take the stress out of your next move in Lymington. PLEASE CALL 01794 323558 FOR YOUR FREE NO OBLIGATION QUOTE ON REMOVALS TO LYMINGTON! As a pretty coastal town and ancient seaport, with a rich maritime history, Lymington is fast becoming a popular destination for those looking to relocate to Hampshire. A unique location where the New Forest meets the sea, the town offer great shopping facilities, a mix of upmarket restaurants and quaint cafes and a wide variety of housing stock to suit buyers on all budgets. If you are moving to Lymington, Schepens removals have got you covered. With a reputation as a first class UK removals company, the team at Schepens are dedicated to offering the very best service to all of our customers. We offer bespoke, tailored made quotations, and are there to help your house removals run as smoothy as possible. Our uniformed removal staff are all trained to BAR standards and are fully referenced for your continued peace of mind. They are experts in packing and loading, and our high tech, alarmed transportation vehicles will keep your goods safe from harm whilst in transit. Our staff also have an excellent knowledge of the Lymington area so you can rest assured that they will not go astray whilst en route. We can assist with removals of all shapes and sizes – from a single piece of furniture to a detached family home, we have the capability to take control of your next move. As a professional and highly regarded company offering UK removals, we are committed to ensuring that your house removals in Lymington are handled as professionally as possible, by our fully qualified removals teams and always for within budget. What’s more, we can even help you to prepare for the move with our super strong and durable packing boxes, that offer you extra piece of mind when it comes to moving your treasured belongings. The town of Leamington is an elegant and historical sailing town offering two marinas, two sailing clubs, and plenty of pretty cobbled streets. Stated as being the most desirable place to live in 2008, the town offers a good mix of property types, has excellent schools and a vibrant High Street with a variety of shops. For those who may still need to commute to the city, the journey to London is approximately 90 minutes by train. WHAT ARE THE BEST SCHOOLS IN LYMINGTON? There are plenty of good schools in the area, but the three most sought schools are considered to be Our Lady & St Joseph Catholic Primary School, Priestlands School and Walhampton School. Primary and secondary education in the area are nearly rated as “Good” or “Outstanding” by Ofsted. WHAT ARE THE HOUSE PRICES LIKE IN LYMINGTON? We have helped people to move to all areas around Lymington including removals to: Bournemouth, Brockenhurst, Christchurch, Wimborne, Ringwood, Ferndown, Lyndhurst and Boscombe. IF YOU WOULD LIKE TO FIND OUT MORE ABOUT OUR REMOVALS SERVICES IN LYMINGTON, CALL OUR OFFICE TODAY ON 01794 323558. Lymington in Dorset is a much loved town on the edge of The New Forest. With gorgeous Georgian terraced houses, and coastal cottages aplenty, there is always a demand for first class removals to Lymington. Being a colourful coastal town with an ancient seaport and a rich maritime history, we regularly help residents and newcomers alike to move to their picture perfect new home in this most coveted of locations. IF YOU ARE LOOKING FOR REMOVALS TO LYMINGTON, SPEAK TO OUR HELPFUL AND FRIENDLY CUSTOMER SERVICE TEAM TODAY ON 01794 323558. 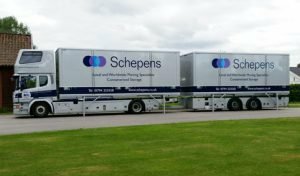 With over 100 years experience of UK removals, Schepens are perfectly placed to assist you with all of your house moving requirements. We only use state of the art, reliable and liveried removal transport vehicles, and all of our employees wear full Schepens uniform. From the initial home survey, through to the delivery of your possessions to your new home, our service in second to none. We will provide a tailor made quotation designed to suit your budget, and can assist with all types and sizes of removals to Lymington. From a single piece of furniture to an entire house full, we offer the very best removal services in the area. Being based on the South Coast of England, we are extremely well placed to assist with removals along the length of the M27 and M3 corridor, including the stunning seaside town of Lymington. Haven’t got time to pack your stuff? We can even help you with storage and packing! Our selection of packing boxes and materials are available to purchase prior to your move, and are stronger and more durable that those offered by other removal companies in the area. Lymington is a vibrant and popular town in the New Forest district of Hampshire. A pretty Georgian market town, with an internationally famous yachting centre, the town is a popular holiday destination for those looking to explore the area, as well as a great place to live and raise a family. From bijou cottages to grand detached family homes, Lymington no doubt has the perfect property for your next move. With its picturesque houses and strong yachting community, Lymington is a very desirable part of the region. According to online house sales website rightmove, house prices have remained extremely buoyant in the town for many years. In 2017 the average sales price of a terraced home was in excess of £440,000, whilst detached properties were regularly selling for at least £650,000. As you would expect from such a sought after area, schools in the town are very well regarded and many consistently receive top OFSTED recommendations. Those looking for a private education will be delighted to know that the famous Walhampton School is close by. State funded schools in the area are also very popular, with both Lymington Junior and Pennington CofE Junior receiving “Good” Ofsted recommendations, whilst Priestlands School is an “outstanding” secondary school. 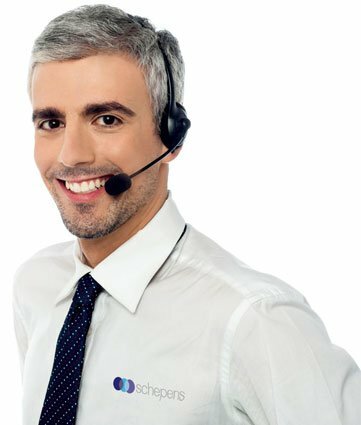 So if you’d like to get things started in your new home and your new town the best possible way, the Schepens customer service team is standing by to take your call! WHATEVER YOUR REQUIREMENTS FOR FURNITURE REMOVAL TO LYMINGTON, SCHEPENS CAN HELP. CALL US TODAY ON 01794 323558 TO BOOK YOUR REMOVAL SURVEY WITH US. “A big thank you to your team for dealing with our move. From the moment they walked to the house to the last minute before they left, they were amazing. Very professional, efficient, hardworking men, always with a smile on their faces (even when my son was under their feet)!…I would and will recommend Schepens to anyone !